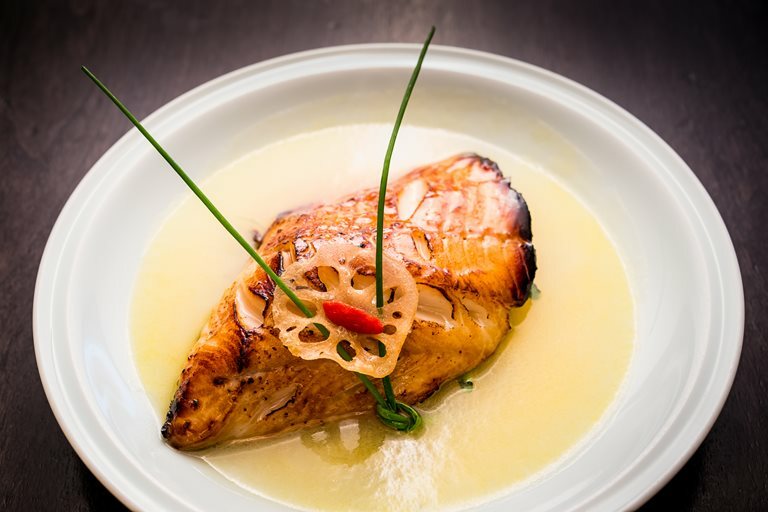 One of Hakkasan's most popular dishes, this roast cod recipe from Tong Chee Hwee combines sweet honey with crisp, luxurious champagne and is vividly garnished with chives and goji berries. Goji berries have become widely available since being hailed as a superfood, and should be easy to pick up in health food shops and supermarkets. Tong Chee Hwee reinvents traditional Chinese flavours and techniques with distinctly modern flair.